As tough as your biggest adventure, the Vibe Element 70 Cooler with Wheels is an ultra-durable rotomolded cooler that keeps your castaway crew well-fed during a weeklong trip or adventure. Built for fishing, camping, hunting and snacking, the built-in, heavy-duty wheels will make transporting your cooler a breeze. 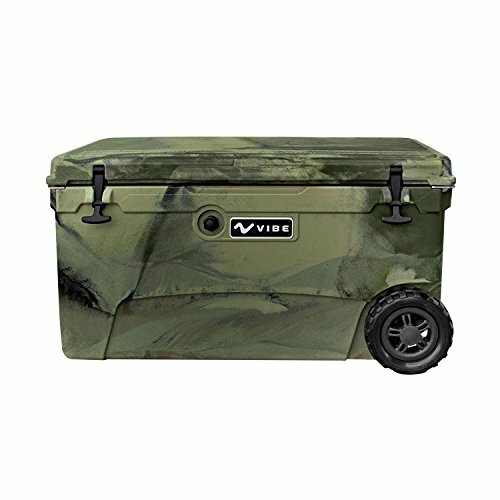 LIMITED LIFETIME WARRANTY | Vibe provides a limited lifetime manufacturer’s warranty for defects on all new cooler purchases and (1) one year on parts attached to the cooler. If you have any questions about this product by Vibe Kayaks, contact us by completing and submitting the form below. If you are looking for a specif part number, please include it with your message.